The slippery dip might have been fun as a child, but if you’re in an emergency on an aircraft, using the evacuation slide/raft correctly is no laughing matter. It would seem common sense that taking your carry-on luggage down the slide/raft would be a definite ‘no-no’. Before I drifted off, people were reading, chatting and starting to watch the in-flight entertainment and, as usual, I had not paid much attention to the safety demonstrations. You get into a comfort zone when you fly a lot and think that something as terrifying as what was to come could never happen to you. I think differently now. I’ve subsequently seen some criticism of them on Twitter but if you weren’t there, how do you know how you would have reacted? People do odd things when they panic. 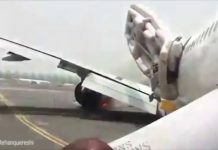 The images of passengers wandering away from the burning 777 dragging and wheeling their carry-on baggage show people do odd things when they panic. But surely we all know carrying luggage down an emergency exit quite simply compromises passengers and the crew’s safety? BA 2276 was beginning a scheduled flight from Las Vegas to Gatwick when a fire broke out in the port engine of the Boeing 777-200 while it was on the runway. The aircraft had 157 passengers as well as 13 crew on board. US Airways 445 in Denver—the pilot was alerted to possible smoke in the cabin while taxiing to the gate. The 158 passengers and crew deplaned via the slides. Turkish Airlines 726 in Kathmandu—dense fog in Nepal caused the plane to overshoot the runway, forcing staff and 224 passengers to evacuate the aircraft. Delta 1086 at New York LaGuardia—while landing at the airport in a snowstorm the plane skidded off the runway and into an earthen berm that separates the airport from Flushing Bay. Three people were hospitalised, but no one was killed and all 127 passengers were successfully evacuated. There’s no doubt that risking your life—as well as other passengers’ lives—for the sake of a bag seems unbelievable. But perhaps it’s not as simple as that. 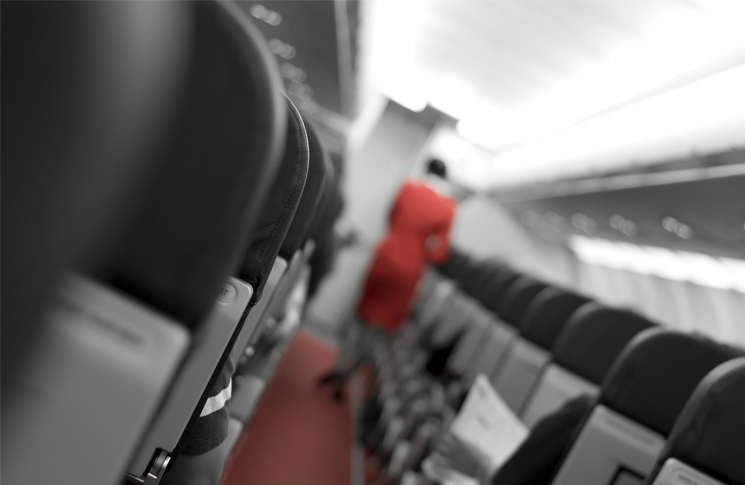 It’s easy to vilify these passengers on social media networks and in the media, but CASA human factors advisor, Reuben Delamore, says there can be several reasons why people behave in this way during an aviation emergency. Delamore says for some people who are very used to being in control of their normal lives and situations, being on an aircraft is uncomfortable because suddenly they have no control. ‘From a risk perspective, we are very much in the moment, and if we don’t have an accurate perception of what the risk is we will tend to start thinking about what other risks or impact may exist,’ he says. Delamore also suggests that the baggage may have a level of importance that balances life elements against risk of surviving the evacuation. Should a passenger need medication to survive, then that bag will be firmly grasped in their hands. This helps to explain why the baggage issue is not always a problem. In some evacuations, the gravity of risk to survival presents a very directed motivation. Delamore also says that passengers don’t necessarily understand the context of the risk and why taking their bag is an issue. Currently passengers in most demonstrations are not informed why baggage should not be taken with them. It’s a no-win situation for cabin crew. While they could demand those who turn up with luggage at the emergency exit leave it behind, there’s also the dilemma that passengers need to exit within 90 seconds through just 50 per cent of the exits. If just a few of those passengers turn up with their luggage, there’s nowhere to put it—leaving it behind near the top of the slide raft, or throwing it out to the ground could create another hazard. Steinberg makes a significant point while earlier describing BA 2276: I had not paid much attention to the safety demonstrations. How many of us do in fact pay attention to the safety videos or the cabin crew? For those who work in aviation watching the demonstration is a matter of professional courtesy, or should be, but for frequent flyers its repetitive nature is undeniable. Airlines know this, and some are experimenting with different formats for the video safety demonstration. But CASA cabin safety inspector, Julie Parkinson, says even though passenger safety information has been enhanced through these humorous deliveries (such as Air New Zealand’s Men in Black safety video), it hasn’t necessarily increased passenger safety. ‘Yes, a funny safety video will get a passenger’s attention, but the actual retention of information doesn’t actually improve,’ Parkinson says. 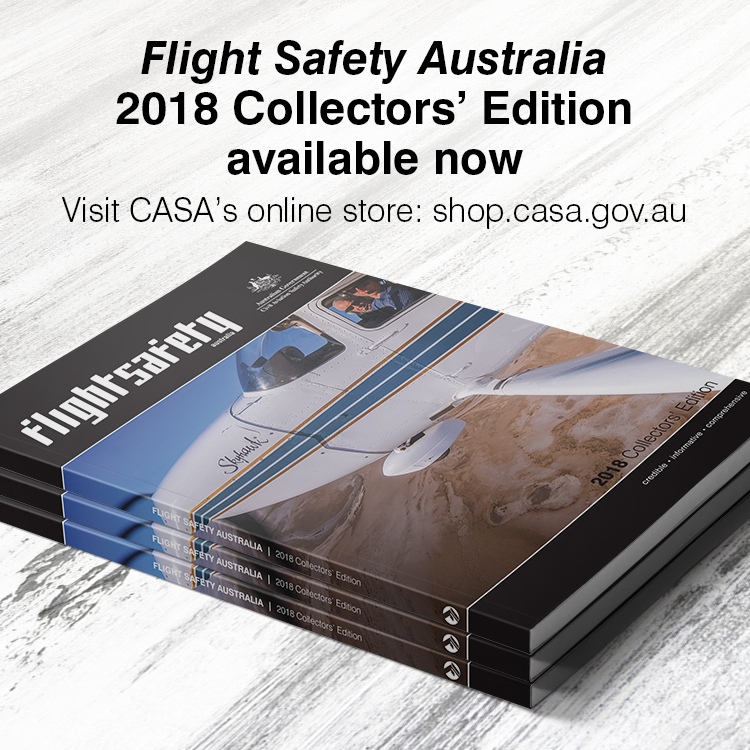 In response to the incident Australia’s own aviation regulator the Civil Aviation Safety Authority (CASA) issued a warning to industry through the Flight Safety website noting a concerning trend where airline passengers are continuing to value their luggage over their own personal safety and that of their fellow travellers. CASA—along with other Regulatory bodies such as the European Aviation Safety Agency (EASA) and the International Civil Aviation Organization (ICAO)—are currently in the process of reviewing their guidance material to incorporate information pertaining to passengers leaving their baggage behind in an evacuation. However, is this sufficient, or should there be specific penalties that apply in such cases when passengers don’t comply? Parkinson says there would be difficulty of enforcing monetary fines. ‘Because it is such an extreme situation, how will we really penalise people for reacting to and behaving in such a way? Other preventative measures could include automatic locking of overhead cabin bins and enforcing carry-on restrictions for size or weight. Leaving bags behind is a shared responsibility: for passengers to comply and for airlines and regulators to consistently inform why it is important for safety. As BA 2276, and several other evacuations every year demonstrate, one sentence in a briefing telling people what to do is not enough. Have travel insurance to cover the cost of replacing your luggage and contents. Keep your passport, wallet, ticket, phone and any essential medication on your person. If you fly with a laptop or tablet computer, back up its files so that your whole life’s work is not in one memory chip. John Townsley, this article has already dealt in detail with the fact that what is spoken at the preflight briefing,and how a lot of pax actually behave in an evacuation situation, can be two different things. In short, you can brief on proper evac procedure til you`re blue in the face but when the sh*t hits the turbofan, some dickheads will ignore it. Your suggested threats of fines etc. are therefore useless. Cabin crew must be trained to TAKE CHARGE, ie. forcibly prevent baggage being taken. I know that if some bag-toting turkey obstructed evacuation during a clear & present emergency eg. fire, I wouldn`t hesitate to deal with it. If necessary I`d punch his or her lights out, toss the bag aside and push the offender down the slide. This was so very informative and thought provoking. I always enjoy reading your articles– they’re all very good–but this particular one had me questioning some of my own assumptions. It’s important to consider these human factors and what might be done to better inform the public so they really get the safety repercussions. You’re right, we shouldn’t just jump on social media to judge on these things. I confess I was very guilty of that during the BA evacuation, but judging doesn’t address systemic failures or human psychology. Bravo for this in-depth and balanced analysis. 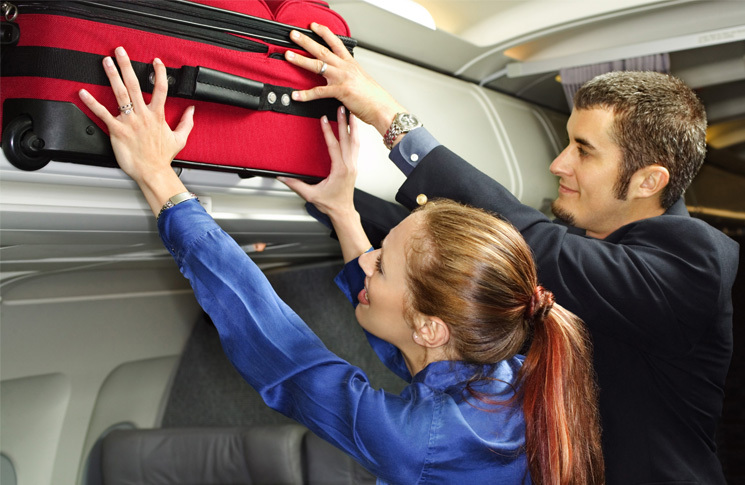 The recent trend of carriers to charge passengers for checking a bag into the hold has had the effect of “encouraging” the use of the “free” overhead bins. With the advent of safety management systems (SMS) there is a requirement to perform a risk assessment to establish the safety implications of proposed changes that may impact the safety system. This would include procedural changes like charging to check a bag. As part of this assessment the operator should take into account the safety implications of the additional cabin baggage and the maturing trend of taking cabin baggage off during an evacuation. For those carriers that do charge it is reasonable for them to share with the public and the regulator their assessment that the risk is acceptable. It is difficult to imagine the criteria used in any determination that the risk is acceptable without mitigation. One may ask what mitigation should be considered? Overhead bins that can be locked for take off and landing is one option. In the event that the risk is deemed to be acceptable the people making the assessment and the authority accepting the assessment may wish to indicate the limits of their “acceptable assessment” so that when the defined number of people are injured during an evacuation the additional mitigation will automatically be implemented. How about overhead bins being electronically locked for take off and landing. Only being unlocked when the crew decide it is safe to do so?